Here we are in the end of spring and beginning of summer and it is getting cooler and cooler. Sorry – I mean that Global Warming is really an imminent threat to humankind. Very late, the official May temperature figures are out.so I thought I dive into it. 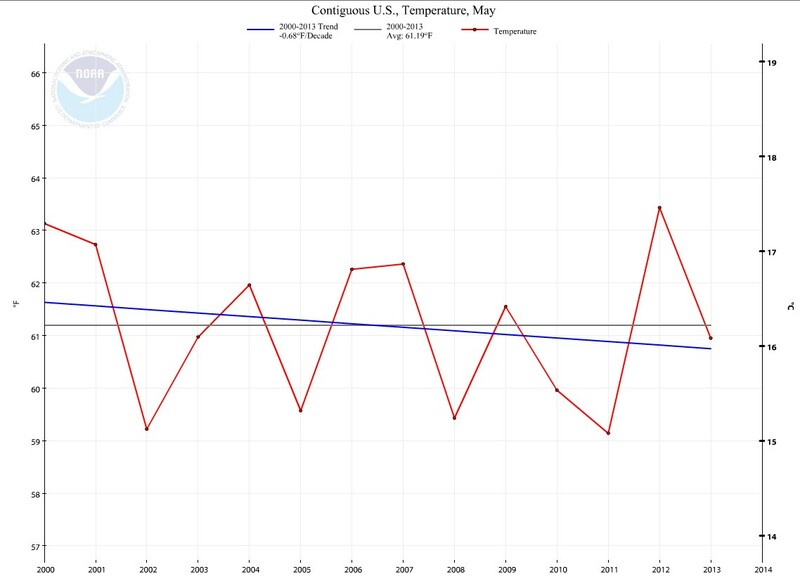 So the “warming trend” 2000-2013 for May is exactly – 0.68 F degrees a decade. That is a – 6.8 F COOLER in 100 years. That’s what I call “warming”! 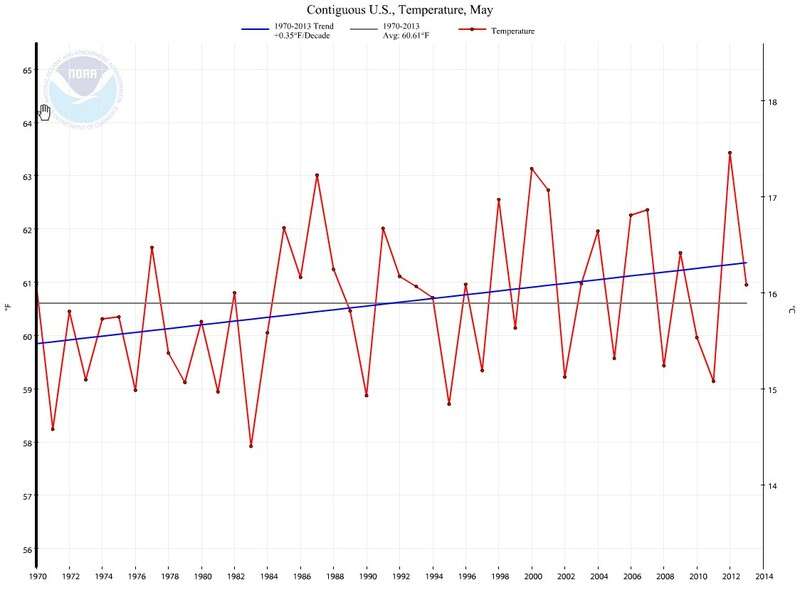 The May trend 1970-2013 is exactly 0.35 F degrees a decade. 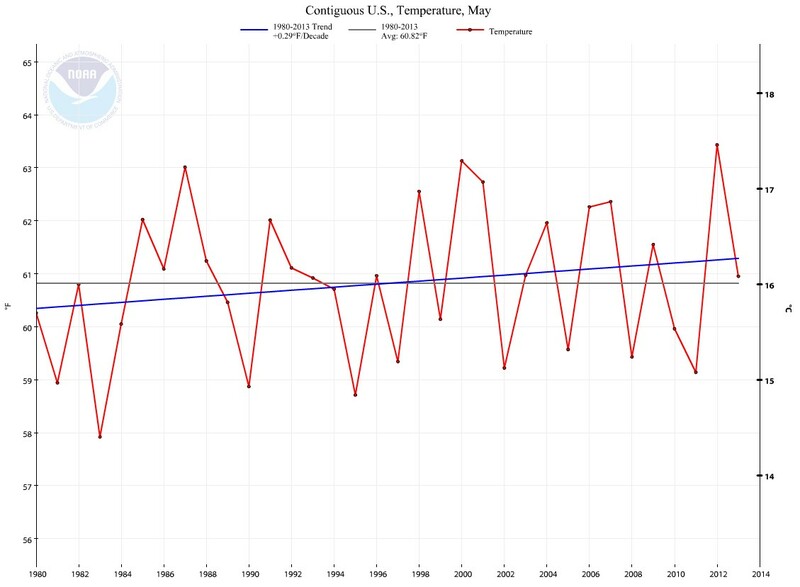 The May trend 1980-2013 is exactly 0.29 F degrees a decade. 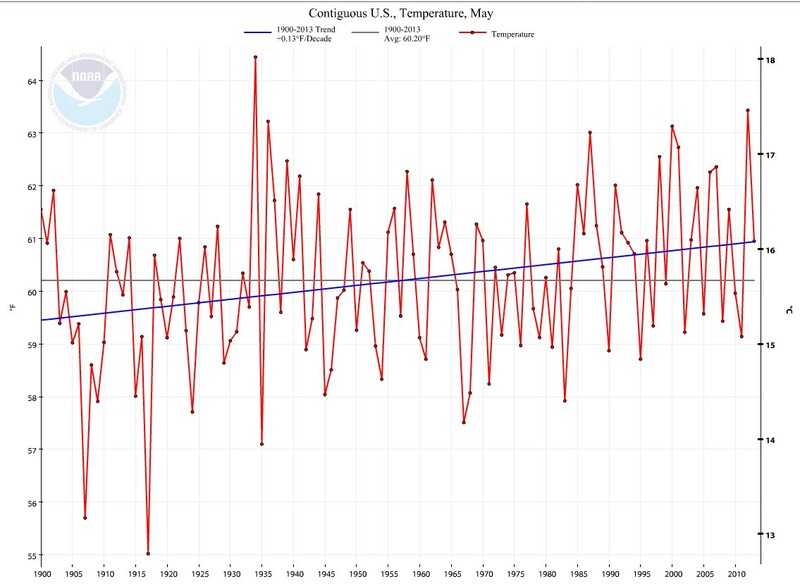 The May trend 1990-2013 is exactly 0.26 F degrees a decade. 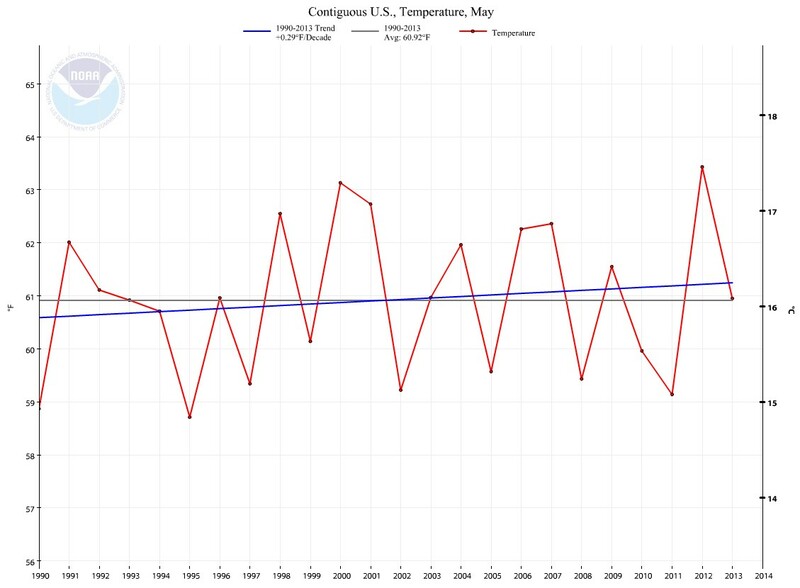 The May trend 2000-2013 is exactly – 0.68 F degrees a decade.